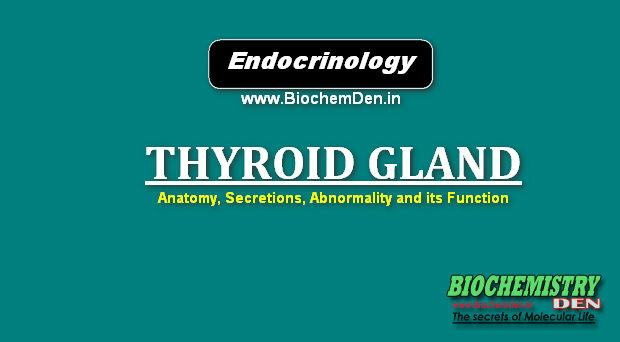 The thyroid gland is the largest endocrine gland in the body. Thyroid Gland consists two lobes, locates either side of and anterior to the trachea just below the larynx. The two lobes are connected by a narrow bridge called “ISTHUMUS”, so the gland looks like ‘H’ shape. The weight of the thyroid gland is 20 to 30 grams. The thyroid gland is composed of a large number of tiny closed vesicles called “Follicle”, 150 to 300 microns in diameter. stem of a car: It produces substances that sends the blood (so called hormones), which are the thyroxine or T4 and triiodothyronine or T3, to regulate metabolic activities (set of physical and chemical activities which consume energy, which take place within a cell so that it can live) in different cells of the body, including oxygen consumption , maturation and growth. In other words, the level of activity of most cells is regulated by the thyroid gland; if low thyroid function, the person becomes slow or off, but if thyroid function goes up, the person becomes “fast”. Thyroid gland takes up and concentrates iodine. It can concentrate iodine up to 10,000 times. The was originally thought to be linked to Na+/K+-ATPase, but now another Na+/I– symport carrier system is also proposed. This step is inhibited by thiocyanate and percholate, which compete for the carrier mechanism. This step is stimulates by TSH. There is a congenital defect associated with this step. It is called iodine-trapping defect and may be treated by large doses of iodine. The iodine taken up by the thyroid cell is oxidized to active iodine. The thyroid cell is oxidized to active iodine. 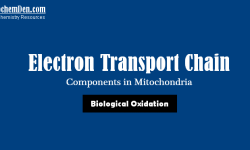 The thyroid is the only organ, which can perform this oxidation step. 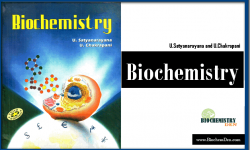 This is catalyzed by the enzyme “Thyroperoxidase, tetrameric protein with molecular weight 60,000. The reaction needs hydrogen peroxide, which is produced by an NADPH-dependent reaction. The NADPH is generated by the hexose monophosphate shunt pathway. This second step is stimulated by TSH and inhibited by antithyroid drugs such as thiourea, thiouracil some patients with an inborn error of iodine oxidation defect, which may be treated by T4 administration. Then thyroglobulin (Tgb) is iodinated. Thyroglobulin is synthesized by the thyroid follicular cells. It is a large protein with about 5000 amino acids (660kD). It contains about 10% carbohydrates. There are 115 tyrosine residues in the Tgb, out of which 35 residues can be iodinated. Iodination of the tyrosine is taking place on the intact Tgb molecule in the follicular space. Thus, mono-iodotyrosine (MIT) and di-iodotyrosine (DIT) are produced. Some of the tyrosine residues in the thyroglobulin are aligned opposite each other, and are coupled. When two DIT molecules couple, one molecule of tetra-iodothyronine (T4) is formed. The tri-iodothyronine (T3) may be formed eithrer by coupling of one MIT with one DIT (or) more commonly, by de-iodination of T4. Under normal conditions, 99% of the hormone poduced by the thyroglobulin molecule. The iodination and coupling are taking place in the borders of the follicular cells. The iodotyrosyl coupling defect, an inborn error, affects this 4th step. Treatment is to give T4. The thyroid gland is unique, in that it is the only endocrine gland to store appreciable amounts of the hormone (step4 in figure). The stored Tg contains about eight T4 residues per molecule. When necessity arises, the thyroglobulin is taken from the acinar colloid, back into the cell by pinacocytosis. (Step 6 in figure). The T4 is liberated by hydrolysis by specific proteases. TSH markedly enhances this activity. This hydrolysis is depressed by iodine and therefore potassium iodide (KI) is used as an adjuvent in hyperthyroidism. In a genetic disorder, abnormal Tgb is synthesized, resulting in deficient proteolysis and deficiency of thyroxin. The T4 thus, generated is released into the blood stream. The T3 is produced by de-iodination at 5’ position, either inside the thyroid cell (or) in the peripheral tissues. The reverse T3 (rT3) is produced by de-iodination at 5’ position. Its biological activity is negligible. The MIT and DIT that are not utilized are de-iodinated and salvaged for re-utilization inside the cell itself (step9 in figure). The inborn error of metabolism affecting this step, is called “deiodinase” defect. In such cases, DIT and MIT are seen in urine. Since iodine is excreted, iodine deficiency is manifested. Treatment is to give iodine. Thyroid hormones are transported in plasma by proteins (step 8 in figure) the bound form is biologically inactive, but they can be rapidly released. Total protein bound iodine (PBI) is about10mg/dl; out of which T4 constitutes 8mg/dl. The thyroxine binding globulin (TBG) (54kD) carries about 80% of T4 and 60% of T3. The rest of thyroid hormones are loosely bound with Transthyretin (TTR) (pre-albumin with 55kD) and albumin (69kD). T4 has a half-life of 4 to 7 days, while T3 has about one day. Thus, T3 is biologically more active. The current theory is that T4 is a pro-hormone which is de-iodinated to T3. Only the free form can inhibit the secretion of TSH by feedback mechanism. In the peripheral tissues, de-iodination takes place. 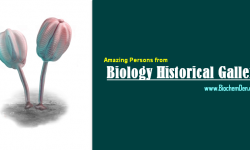 This is done by a “dehydrogenase”. The iodine enters the plasma. This iodine is re-utilized by the thyroid. Part of the T3 and T4 are conjugated with glucuronic acid and excreted through bile, and to a lesser extent, through urine. Deamination of T4 produces tetra-iodo-thyro-acetic acid (Tetrac); and T3 gives rise to tri-iodo-acetic acid (Triac). These are only one fourth as active as the parent compound. Calorigenic action: Colorigenic effect (or) thermogenesis is the major effect of thyroid hormone. 1mg of T4 will produce an excess of almost all metabolically active tissues that means there is increase in heat production and BMR. Thyroxin stimulates the protein synthesis by promoting incorporation of amino acids into proteins. It increases blood sugar and decreased glucose tolerance. 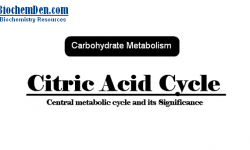 It activates hepatic glycogenolysis & hepatic gluconeogenesis, because it acts as antagonistic to insulin. Increases lipolysis in adipose tissues. 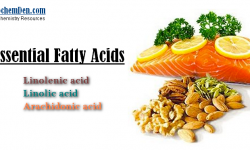 Thus increasing plasma Free Fatty Acids. They may stimulate at the same time lipogenesis. The heart rate increases more under the influence of T4. It has role in the ossification of cartilage, the growth of teeth. A number of diseases of thyroid gland including chronic thyroiditis (inflammation of thyroid gland and autoimmune thyroidoitis). It may be secondary to pituitary failure. Myxoedema is caused by hypothyroidism in adults. The patient shows sensitivity to cold., body temperature is lowered, puffiness of face, thickening and drying skin, falling hair specially eyebrows, obesity memory is poor, anemia develops, BMR is lowered to 40%. Blood cholesterol level is usually high. Results from incomplete development (or) congenital absence of thyroid. Children who are hypothyroid from birth are called “cretins”. The children are dwarfed, mentally retarded and have enlarged protruding tongue and potbellies. Resulting from excessive secretion and over action of thyroid hormones. The main clinical conditions being. Hyperthyroidism is characterize by nervousness weigh loss, heat intolerance, increased pulse rate, blood cholesterol is usually low (hyper-cholesterolamia), a high BMR etc. The most common form of hyperthyroidism is Grave’s disease. In grave’s disease the thyroid is enlarged and there is protrusion of the eyeball called exopthalamus. Plasma TSH levels are actually subnormal in this disease. In this disease auto immunization against thyroid components in thyroid cell sap produces “thyroid stimulating antibody IGG” an immunoglobulin. Its effect on the thyroid are of much longer duration. Hence this thyroid stimulating antibody also called “LATS”. (Long Acting Thyroid Stimulator). It binds to TSH receptors on thyroid cell membrane and stimulates thyroid gland but unlike TSH its action is not inhibited by feed back of thyroid hormones. So its prolonged action produces an over active enlarged thyroid and over secretion of thyroid hormones. When the iodine intake falls below 10mg/day. TH synthesis is inadequate and secretion declines.